Is it just me or is time moving faster than ever? I am in denial that it has been one month since I shared my last sewing adventure with you! Second way to wear this coat: This is my least favorite and I don't plan on wearing it like this, but I thought I would give you some ideas :) This will require you to fold the top of the collar so the correct side of the fabric is showing, and then overlap the right side over the left side and pin with a brooch at the waist! Third way to wear this coat: I LOVE this one! So chic! I could have used it, but I really wanted a set in sleeve as opposed to the raglan sleeve. 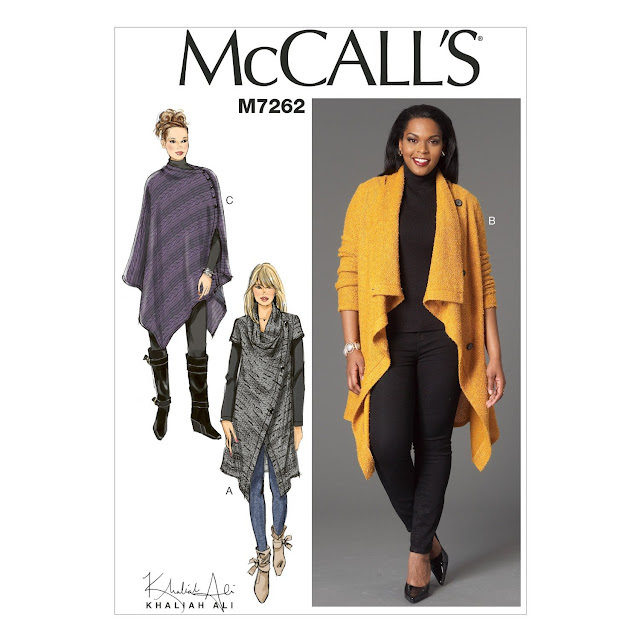 So, in the end, I ended up going with Mccalls 7262. I cut view B but eliminated the facing. I'll talk more about how I finished the edges below.I made a muslin using some wool I had in my fabric stash to test out the pattern. In the end I made only one pattern alteration, extended the length. 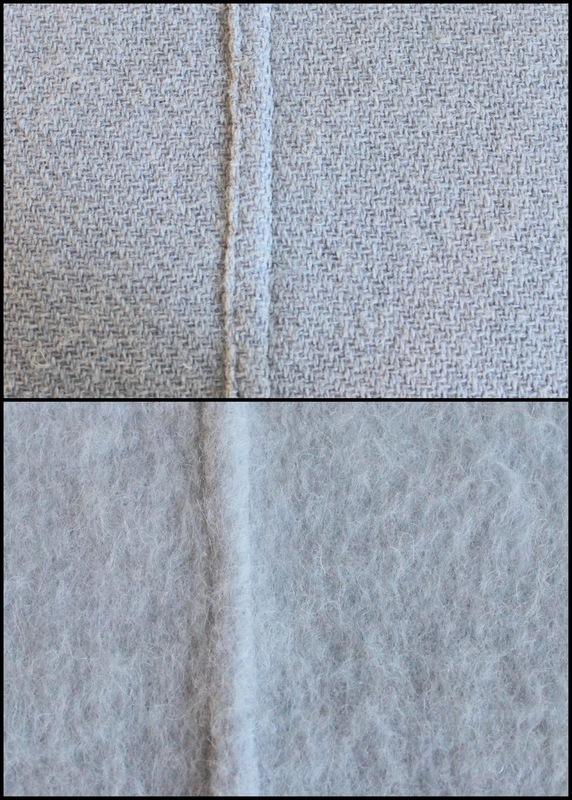 I also wanted to show you some "Behind The Seams" pictures of the coat. I decided not to hem the perimeter of the coat. That would be bulky and since the wrong side shows, I wanted something subtle. 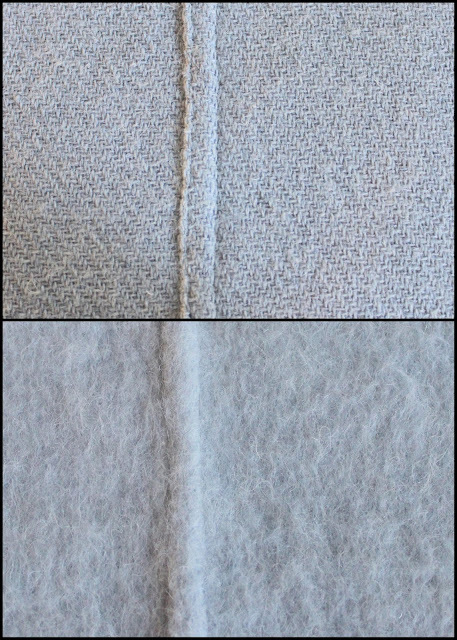 So I topstitched all around the coat, 1/4 inch away from the edge. Then I took a pin and frayed the fabric. I treated it very similar to boucle, where the fabric frays, but still looks chic! I hope you enjoyed sharing in this sewing adventure with me! Happy sewing, and have a lovely Thanksgiving! See you again, just in time for Christmas! Ummmm, can you provide a link to the fabric used? Please. HI! Here it is and I added it to the blog post too! This is stunning! I love the way you treated the edges. What fabric did you use? I love this. I'm having a reunion in January with my two oldest friends who I met in California. We're all flying into Ohio where one of them lives. Last time we met, I made them both linen kimonos and I had been thinking of making them Grainline Studio Tamaracks. But this makes so much sense and I won't have to worry about the fitting! What kind of wool did you use -- is it boiled? I really do love that third way, too! HI! I love that you are making them gifts! 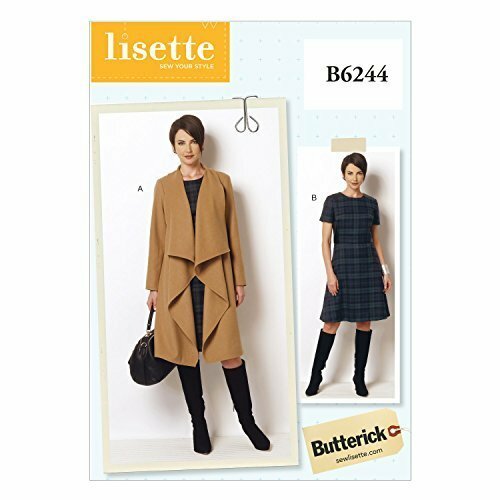 This coat is an easy project considering its a coat! I used the fabric below. Have a lovley trip and happy shopping! Yes, sizing is not an issue with this baby!! Such a beautiful coat! I love all the ways you presented it. It looks great on you. Have a wonderful holiday season. You look fantastic in that coat. I love it. I also am interested in the fabric you used. I am hoping to make one soon. I am in the process of losing a lot of weight and am about halfway there. I expect to be at it for six more months. Right now most of my clothes look horribly baggy. This coat would look good as I got thinner. I am a fan of raglan sleeves, but I like the front drape of this pattern better.